Properties in Kaş average 4.9 out of 5 stars. Luxury private villa, sea views, pool, short walk to restaurants and shops. Property 3: Luxury private villa, sea views, pool, short walk to restaurants and shops. Beautiful Villa Overlooking Kalkan Bay. 180 Degree Sea View. 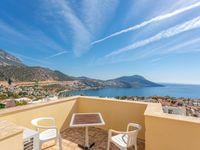 Property 8: Beautiful Villa Overlooking Kalkan Bay. 180 Degree Sea View. Luxury sea front Villa with sea views and heated pool! Property 22: Luxury sea front Villa with sea views and heated pool! Private villa in superb location, fantastic views and private secluded pool. Property 23: Private villa in superb location, fantastic views and private secluded pool. Property 24: Dream apartment in Kas with panorama view + complete equipment. Villa with Stunning Sea & Mountain Views. Private Pool. Property 31: Villa with Stunning Sea & Mountain Views. Private Pool. Villa In Komerluck With Beautiful Sea Views, Secluded Terraces 50 mtrs to Sea. Property 32: Villa In Komerluck With Beautiful Sea Views, Secluded Terraces 50 mtrs to Sea. Very private luxury sea front Villa with prestigious location new to the market! Property 37: Very private luxury sea front Villa with prestigious location new to the market! Villa Derin With Private Pool And Splendid Sea Views. Property 46: Villa Derin With Private Pool And Splendid Sea Views. A lovely apartment nice and peaceful. Central location so easy to get anywhere that we needed to go. We would recommend as we found the villa good value for money and pool area was ideal.